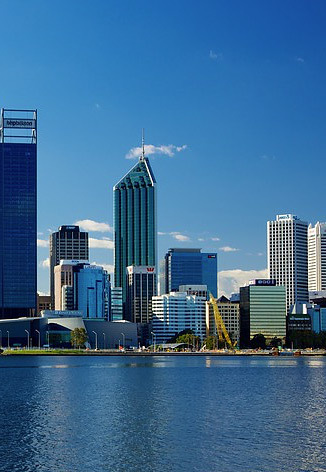 Welcome to Perth, the fast growing capital of Western Australia where you’ll find a heady mix of top notch bars and restaurants, stunning beaches and open roads leading to rolling countryside filled with award-winning wineries and stunning, natural beauty. Whether you’re here for business or pleasure, a good quality car is the key to unlocking the best surprises that our unique city has to offer. We’ve got the best vehicles at the cheapest rates with a super fast booking system and no damage excesses to get you on road in no time. None of our cars have rental stickers on them, rental stickers definitely attract thieves, no stickers less risk. From small cars, family sedans, to utes, and even 7 seaters, we’ve got you covered. As the leading provider of car hire in Perth, we’re located just a stone’s throw from the glitz and glamour of the Crown Hotel, Perth. The convenience of being located right on the perimeter of Perth’s Central Business District allows us to offer free car hire pick up and car rental delivery to all hotels in the city. We’re right in-line with the route from the Domestic and International Airports, so you can even choose to pick the vehicle up from the airport terminal you fly into. Why are we the best car rental in Perth? Burswood Car Rental’s mission is to get you behind the wheel of a top quality car quickly and easily, with great value for money and friendly service locked in with every transaction. We even offer no damage excesses so that you can enjoy your holiday, worry free. Our range of vehicles zooms from the latest models to economically priced small cars like a Hyundai i20 at just $30 a day, to a luxury SUV or a commercial Ute for $76. Trust us, we have the right car for you. We also guarantee every one of our cars are mechanically reliable and maintained and presented to the highest standards. We even have scooters for as low as $15 a day! Car hire should be straightforward, but many other rental agencies make things difficult with hidden fees, haphazard service and tricks like giving you a different car to the one you’ve chosen and booked. At Burswood Car Rentals the car you book is the car you drive. Our big fleet and tight management allows us to offer a wide range of vehicles and supply them to the exact demands of our customers. When you book your car hire in Perth with us, there are no hidden fees or damage excesses – our daily rates offer great value for money with nothing extra to pay. You even get 200 free kilometres per day, and if you find a cheaper price for a same vehicle with the same travel dates on any other website we will match it. At Burswood Car Rentals we take pride in offering the most affordable deals for car hire in Perth to all our national and international visitors. Whether you need a minivan to move the kids and relatives around in, a sleek sedan for a cruise along the coast or a ute to do some hard work, Burswood Car Rentals is easy to find, easy to book and easy on the wallet. Whether it’s for personal or corporate use, booking a car with Burswood Car Rentals is easy. Our website’s booking portal lets you select the dates you need the vehicle for and set the location you wish to pick it up – from our depot at Burswood to any of the airport terminals. The next step is to choose the model of car you want. We have everything from 4 door Hyundai i20s and Elantras to Toyota dual cab utes, minivans and scooters. Just select the one you want, and we can either send you a quote or lock your choice in. You just fill out all of your details on the online form and pay online – no mess, no fuss. Just pick up the car and drive away! Your car will be perfectly cleaned, have fuel in the tank and perform as it should – our fleet is maintained to the highest mechanical standards and will give you a reliable ride. At Burswood Car Rentals, we think car hire in Perth should be easy. We provide a simple, reliable service that’s perfectly fitted to the needs of people visiting our great city. We have a wide range of top quality cars at affordable prices, and will match the prices of our competitors if you find a better deal. Our customers can pick the car they want and nominate where they want to pick it up from – be it any of Perth’s airport terminals or our depot conveniently located in Burswood. We can even deliver the vehicle free of charge to any hotel within the Perth city area. So whether you’re coming to Perth for a holiday, a quick visit or a work trip, Burswood Car Rentals is the best choice for high quality vehicles at affordable prices, all backed by superb customer service that’s focussed on making your driving experience – and your trip to our city – as enjoyable as possible.